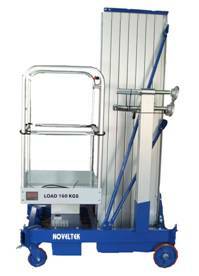 SERIES VERTICAL LIFT(Maximum height of 5 to 11 meters rose)MPL-DC(MPL-DC) - Noveltek Industrial Manufacturing Inc.
LOW PLATFORM ENTRY ALLOWS EASY STEP IN & OUT. 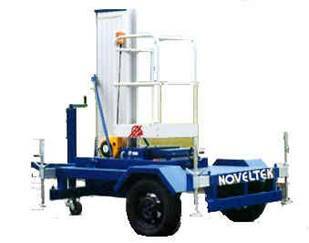 SINGLE ELEVATING MAST IS MADE OF ALUMINUM ALLOY WITH DUAL-CHAIN DESIGN THAT ENSURE SMOOTH AND SAFETY OPERATIONS. 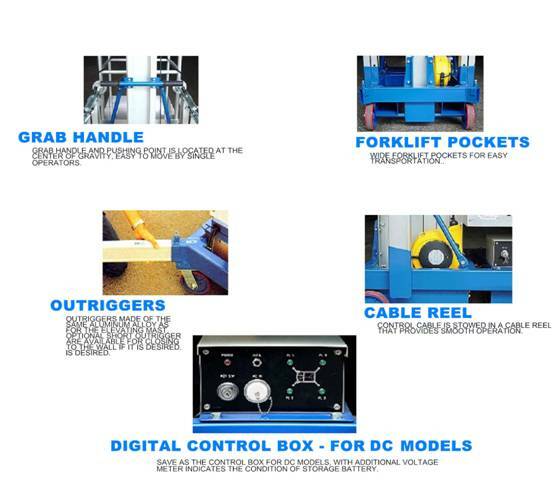 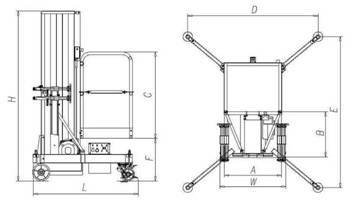 DC POWERED HYDRAULIC LIFTING UNIT GIVES MOST RELIABLE PERFORMANCE. 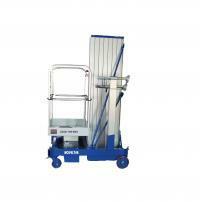 HANDY CONTROL SWITCH ON THE PLATFORM ALLOWS SINGLE PERSON OPERATIONS.